Home » Blog » Can I “CHER” Something With You? 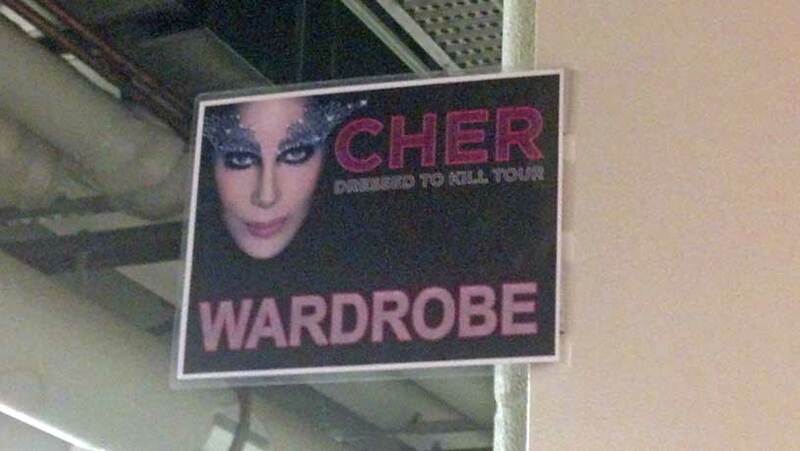 Well in my super fun and uber exciting theater life I had the AMAZING opportunity to work backstage on wardrobe crew for the CHER concert earlier this month. 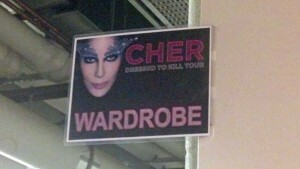 Just thought I would “CHER” with you a few fun “Behind the scenes” photos. I did some sewing on some of the costumes and this was the fun box of threads I used. 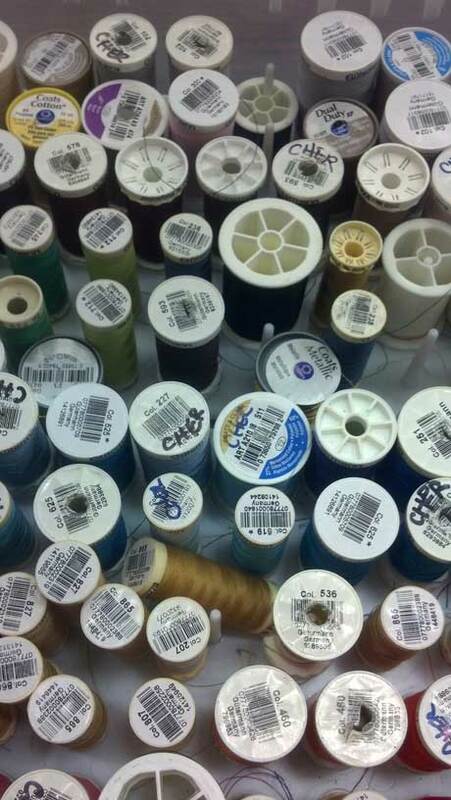 Notice the name “CHER” written on many of the spools? 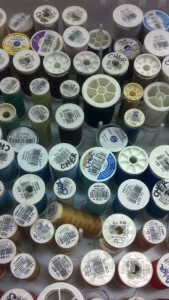 I don’t know about you, but I suddenly have the urge to go write my name on all the thread spools in my studio!